+49% Like Lost Girl TV Series of 212 Votes! We Liked: Something fresh for everyone. Lost Girl features a succubus who can steal the life force of whoever she wants but is also the hero. The cast does a fantastic job of making you want to watch every new episode. Draws you into the world of Faes which brings so many different/interesting creatures into the story. We Disliked: Lost Girl sometimes feels a little stretched between episodes to give you that "little bit" more of the story for the next episode. Not a show to be taken seriously but also the reason that makes the show good. Never had the same excitement and "pull" as the first season even though the world and situations keep growing in scale. 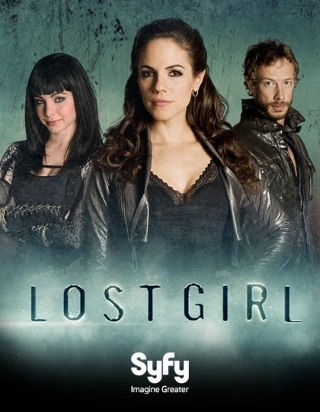 Synopsis: Lost Girl focuses on the gorgeous and charismatic Bo, a supernatural being called a succubus who feeds on the energy of humans, sometimes with fatal results. Refusing to embrace her supernatural clan system and its rigid hierarchy, Bo is a renegade who takes up the fight for the underdog while searching for the truth about her own mysterious origins.